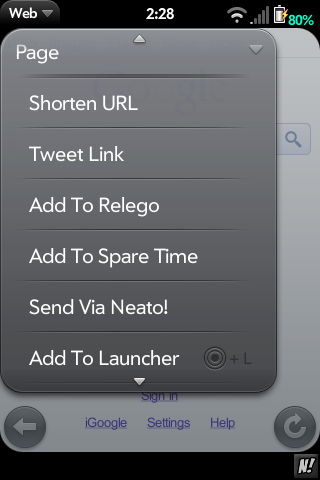 Adds Shorten URL, Tweet via Spaz, Add to Relego, Add to Spare Time, and Send via Neato! options in the app menu. Disables auto-refresh in the browser. Based off patches by benuk, mamouton, and fritos1406.